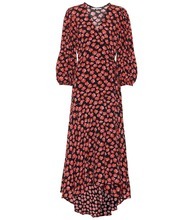 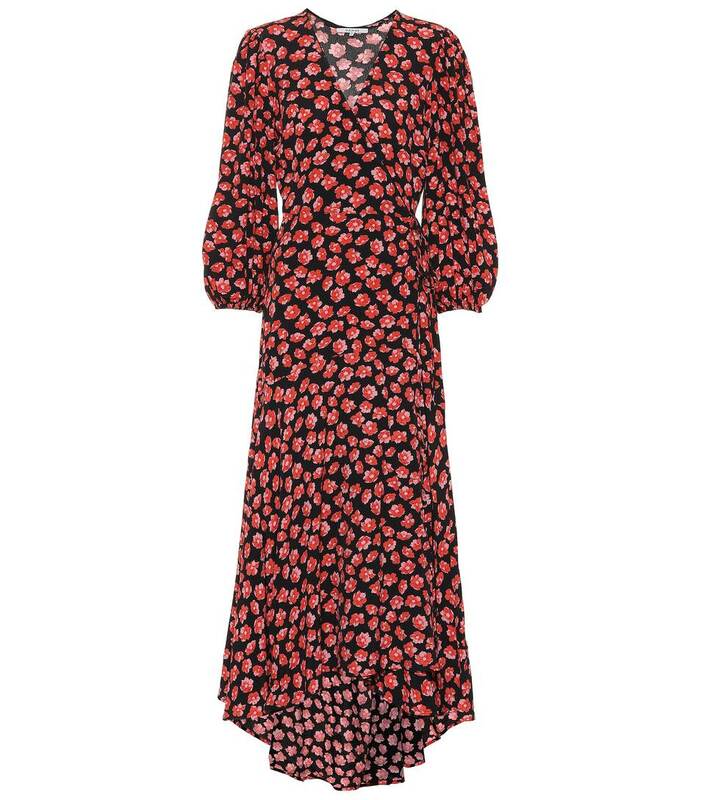 Embrace Ganni's stardom with one of the cult Danish label's signature printed wrap dresses. 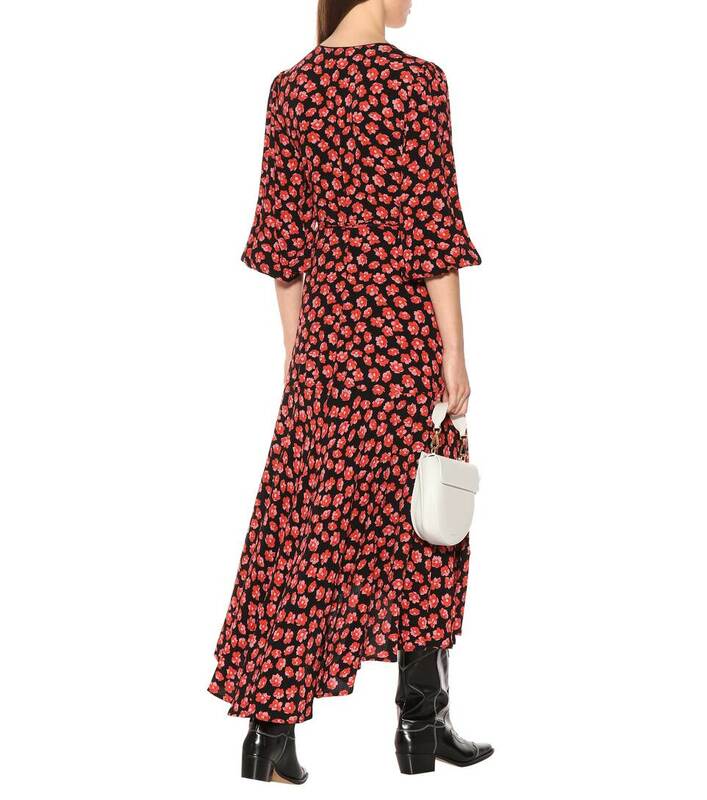 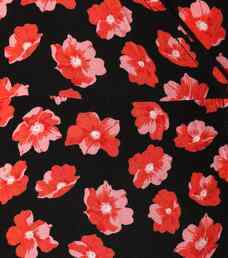 The eye-catching tie-waist piece – a signature silhouette from the brand – has been crafted from black crêpe with a charming all-over red floral print. Elasticated cuffs create blouson cropped sleeves, while a slightly asymmetric hemline gives this style a dose of character. 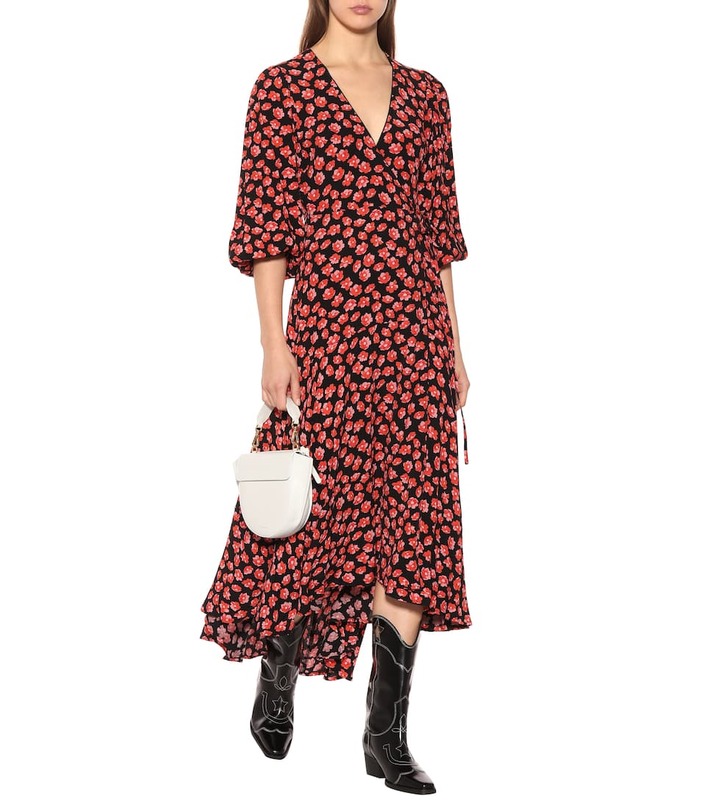 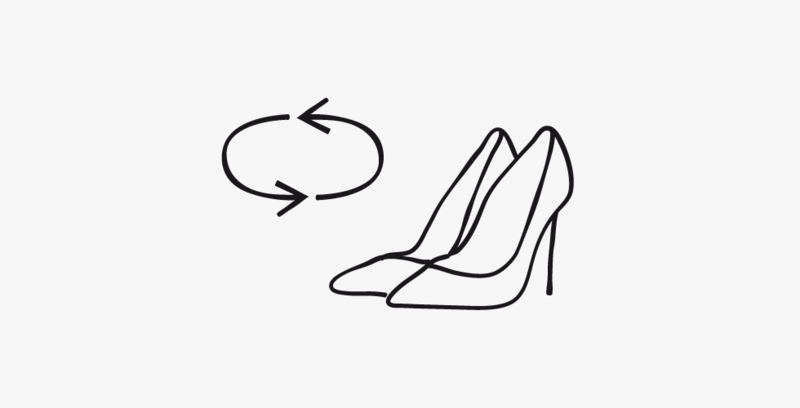 Wear yours with black cowboy boots for a playful new-season look.